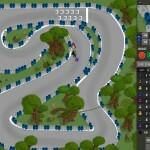 Management Racing Car Upgrade 4v4 Click to find more games like this. 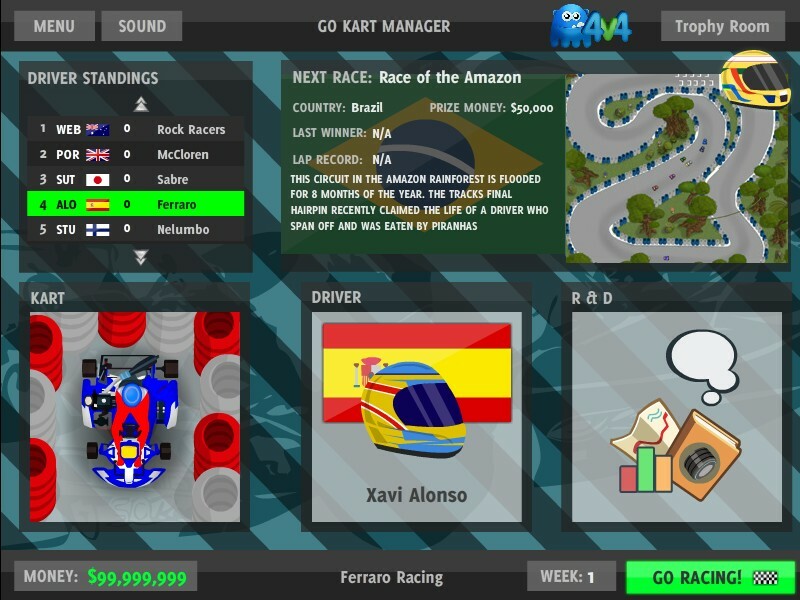 Kart racing is one of the most accessible car race, you don;t need special training in order to have fun, and it is a lot more safer, but the speeds are not as high. 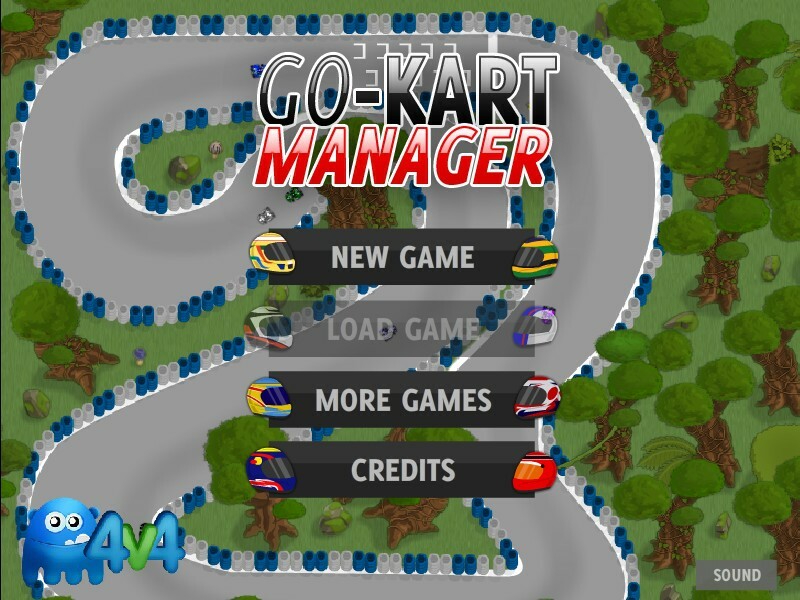 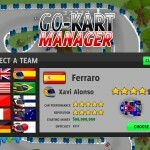 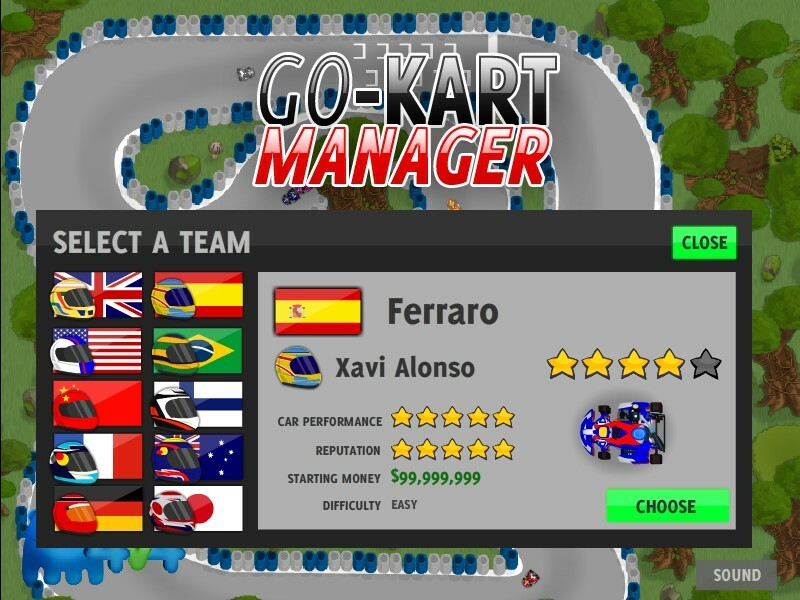 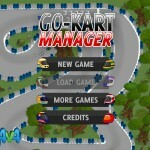 Go Kart Manager is a game that will help you understand a race strategy, you are not the pilot behind the wheel in this game, you can tell the racer what to do. 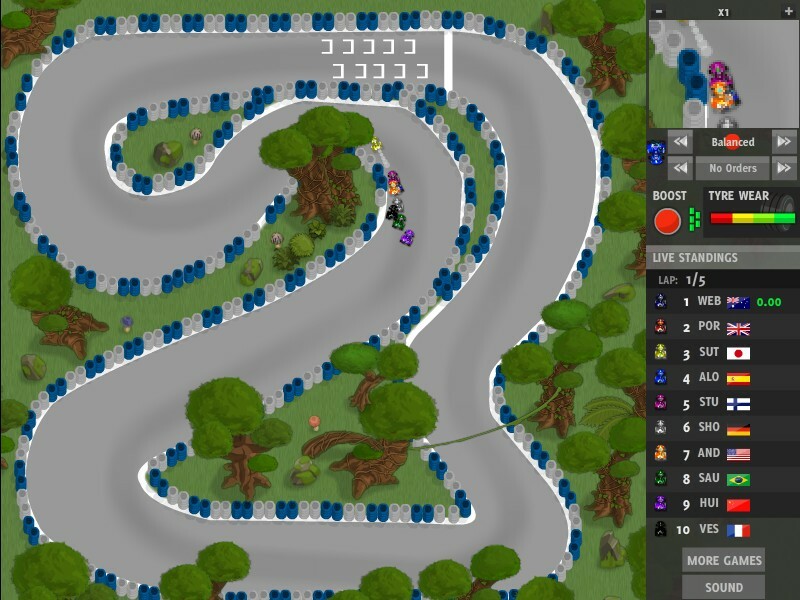 You will have to calculate the next step in the race, you should know when to be aggressive and when you should just wait for a better time to overtake. 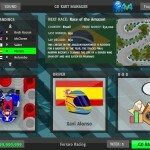 If you are a true kart racing fun you should get this basic strategies and you won't have any problems, if you are an amateur you will have to practice a little and after you get the hang of it you will have a great time like nothing else.